Just when you thought the coaching problem was solved with the appointment of Vincenzo Montella, a new crisis has developed at Milan. Unless I am mistaken, and with so many coaches in and out, I easily could be, but I believe that Milan are only paying one coaches’ salary. That is a phenomenon that hasn’t happened for over two and a half years, just before Allegri was sacked. I don’t know how Milan will function paying only one wage for the head coach position. This is a serious crisis. "How could we possibly be paying only one coach?" If you look back on the source of this crisis, it all started with Allegri. As so many of Milan’s problems did. Once he was sacked, he still collected his paycheck until his contract was terminated. But of course, Milan were already paying Seedorf’s salary as well. A few months later, he was sacked, but we paid his wages all the way up until this past Thursday, when his contract expired. Next, Inzaghi came along, and during his one year on the bench, we were only paying two sets of wages, his and Seedorf’s. 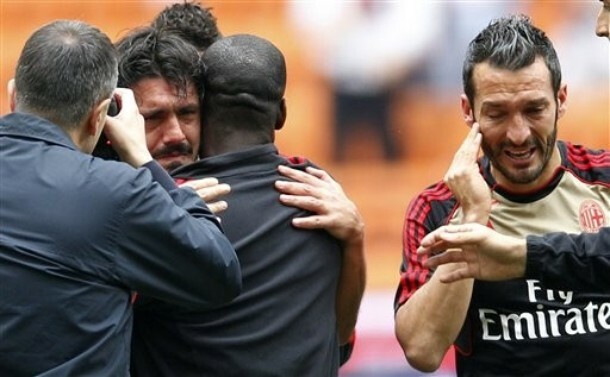 Then came Mihajlovic, and with a year left on Inzaghi’s contract, we were paying three coaches’ wages. 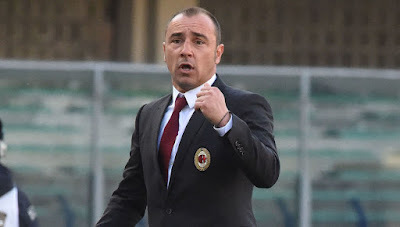 Not secure enough in the rash spending on coaches’ wages, Berlusconi sacked Mihajlovic and hired Brocchi with only six games left. So at the end of the season, we were paying four coaches’ wages. That’s like Zamparini numbers right there. Gattuso is upset that he hasn't had a chance yet. Go, Galliani. Steal him from Pisa. But alas, all good things must come to an end. Inzaghi ended his contract prematurely to be able to coach Venezia. Then Mihajlovic rescinded his contract to coach Torino. So it was just Seedorf and Brocchi picking up the big fat paychecks, if ever so briefly. But with both of their contracts up this past Thursday, the days of high rolling coaches wages are over. Milan are only paying Montella’s wages now. And the crisis is real. If reports are to be believed, the takeover by the Chinese consortium could be announced as soon as Friday. Reports say that Berlusconi will stay on as Honorary President, but there is no news about Galliani. 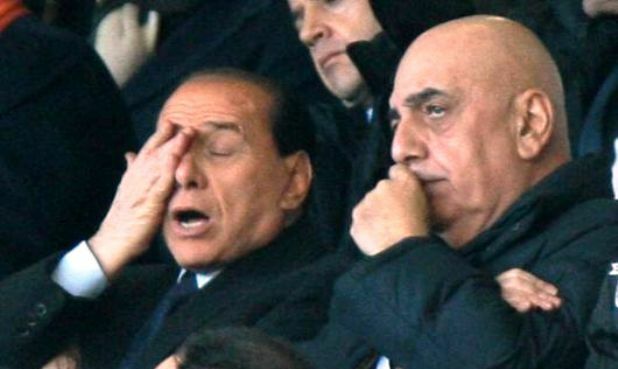 If Galliani is out and Berlusconi is depleted of powers, who will find a way to waste more money on coaches? It's probably not too late to simply renew this guy's contract. It's SO easy. Go, Galliani. Go. If Galliani is half the fox he claims to be, he will get on this NOW. With Berlusconi still in the hospital, it's all up to him. He may only have six days to frivolously sack Montella and hire another coach. Or two. Or however many. This crisis must be resolved, and Milan fans are counting on him saying “fine as we are” about the mercato before making an incredulously stupid and wasteful move. I mean seriously, what else is he going to do with all of that freed up cash? Spend it on a decent midfielder? Ha. Why would he do something so desperately needed when he can keep throwing cash at all of the coaches whose careers he burned? Especially when those careers would have been greatly helped by a decent midfielder. No, this is a crisis of epic proportions. And with the club’s sale potentially pending, the Condor must move quickly. I await your move, Yellow Tie. Go.